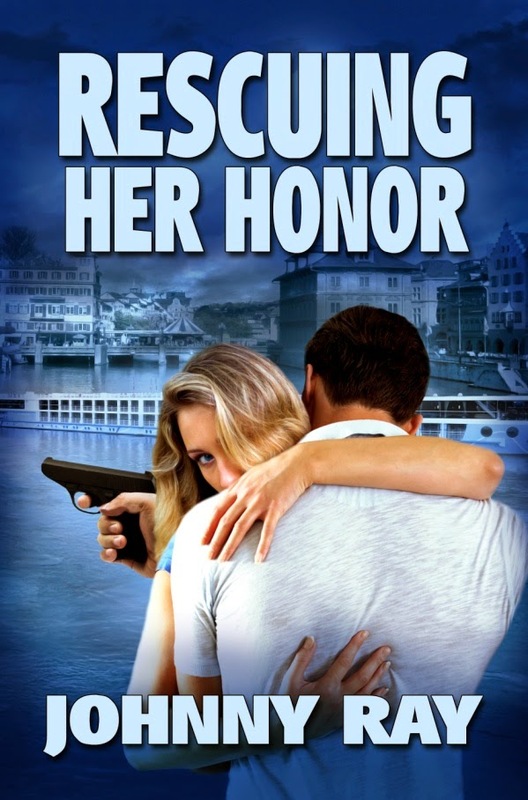 This action and adventure filled novel follows up on my previous bestselling novel HER HONOR'S BODYGUARD. With so many people asking for more, I decided to extend the story and take Vance and Noella on to Europe where they have to solve a mystery in order to gain their freedom and to be able to share their life together as husband and wife. This is one crime, a family secret, that will test every ounce of their love for each other, and hopefully will not tear their families apart. I have created a video trailer on you tube that I hope you enjoy. And another video where I give the background to this novel and read the opening for you. Since there are many questions raised in this novel, I thought this list might intrigue you enough to buy a copy. Would you consider this a small conflict-She wants to work hard at being a judge, he wants to travel? When her career endangers her life, he has to stop her, but could he and still make her happy? When his fortunes are returned to him, should he reconnect with old friends? Her friends are rich, marrying her would mean adjusting to a new life style-could he? After she is kidnapped in a foreign country can she trust her fiancé/bodyguard to save her? What deep dark secrets exist in a safety deposit box in Switzerland? When games become deadly, why is it the children have to pay? One thing about a stalker-you never know when they might reappear, do you? Why is it a major inheritance can change everything-for both good and the bad? Isn't the biggest challenge learning who to believe and who not? Marriage-what is best? A short engagement or a long one. Can children change everything-even before they are born? Family support is nice, but how do you know if it is faked and used to betray? Is the truth always the best option? Is there a time when secrets should remain just that-secrets? How much can the secrecy laws of Switzerland be relied upon? Is working with your spouse a good or a bad thing? Are there always questions you really should have asked your parents when you had the chance? When facts lie-trust your instinct-agreed? Can a beautiful theory be murdered by a few brutal facts? What is the hardest part in reuniting with a prior lover? When trust is broken, how can it be re-established? Is any job really worth your life? How do you know who to trust? Once blackmailed, how do you stop it? Have you ever hidden a secret in a safety deposit box? Are you ever considered leaving deep dark secrets in a will? Is it possible to protect your children from the grave?